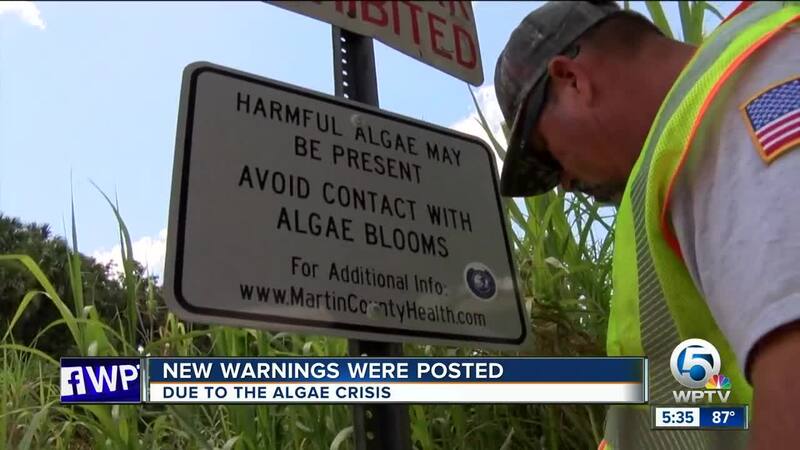 County says algae situation is "a crisis"
Tuesday, new signs went up in four Martin County parks, advising that harmful algae may be present and to avoid contact with algae blooms. “We’re investigating drone technology to understand the extent of the algae bloom," said Martin County Senior Ecosystems Specialist Diane Hughes. 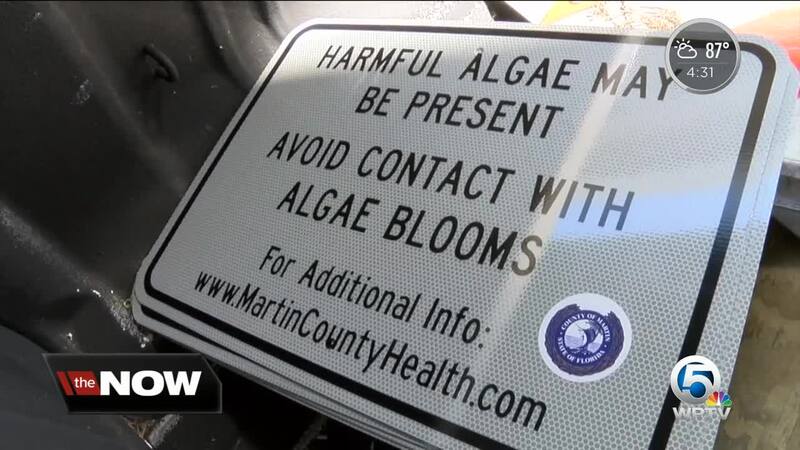 MARTIN COUNTY, Fla.-- Tuesday, new signs went up in four Martin County parks, advising that harmful algae may be present and to avoid contact with algae blooms. “We’re investigating drone technology to understand the extent of the algae bloom," said Martin County Senior Ecosystems Specialist Diane Hughes. Environmental activist Kenny Hinkle, Jr. was documenting the algae at the St. Lucie Lock and Dam Tuesday. He pointed out that algae is on both sides of the lock, even though the U.S. Army Corps has temporarily stopped freshwater discharges from Lake Okeechobee. “We’re being polluted like a third world country. This is America, it shouldn’t be happening," said Hinkle. The new county signs are going up first in places like Phipps Park and Hosford Park in Stuart, Leighton Park in Palm City, and Timer Powers Park in Indiantown. “Once they open the lake again, and those discharges come into the St. Lucie River and Estuary, we see those blooms picking up and getting large again," said Hughes. When Janet and Dan Rudolph take their kayaks out, they do what they can to avoid the algae. “Anytime you can’t use the waterways, it really diminishes the lifestyle here," Rudolph added. The signs will remain in place until this most recent algae crisis ends. Martin County asks residents to report any algae they encounter to the Florida Department of Environmental Protection.